Does your Mom love coffee? Does she look forward to sitting down every morning and enjoying a freshly brewed cup? I know I do! Or is she a Starbuck’s or coffee shop regular with loyalty cards abound? 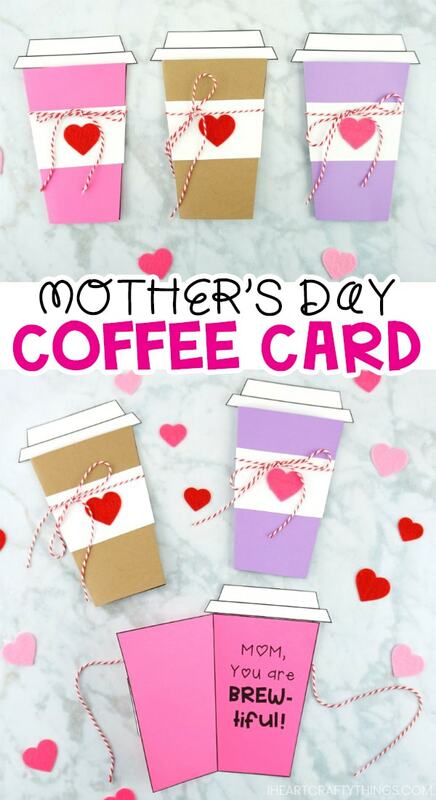 If so, this coffee card template is the perfect Mother’s Day card for you to create for her this year. The simplicity of this paper card can’t be beat. 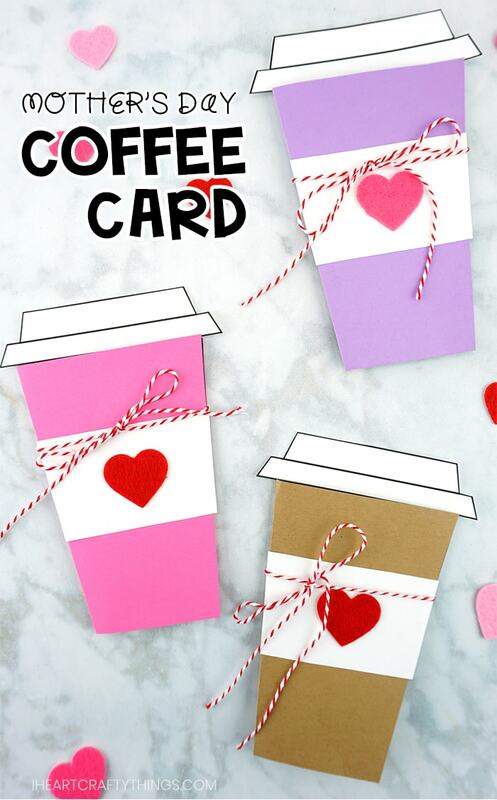 Simply print out the templates on cardstock, cut out the pieces and assemble together your coffee cup card. 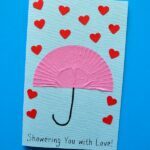 The easiness of this card makes it perfect for kids of all ages to create as a gift to Mom, grandma or any Mom figure in their life. We even have a blank version of the template for you to customize however you need for Mother’s Day. When Mom opens up her card she is going to adore the cheesy coffee puns hidden inside. 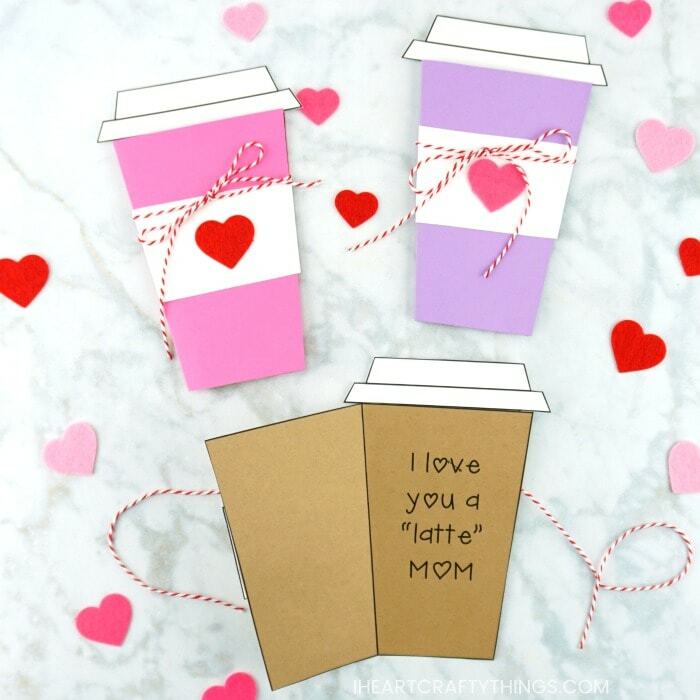 One card reads “Mom, You are BREW-tiful!” and the other says “I love you a “latte” Mom”. Both equally as cute for your mom to receive on Mother’s Day. For an extra special treat, place a gift card on the inside of the card for Mom so she can enjoy a fresh cup of coffee on you. Even better, surprise her with the coffee card on a tray full of breakfast in bed with a freshly brewed cup of her favorite joe. She won’t even have to leave bed to enjoy her favorite drink. Keep reading this post for our step-by-step tutorial of how to make this simple Mother’s Day card with our coffee card template. Watch the video near the end of this post to see a visual of how easy this card comes together. Step 1: Download and print out the template. We have a few different variations of the coffee cup for you to choose from. 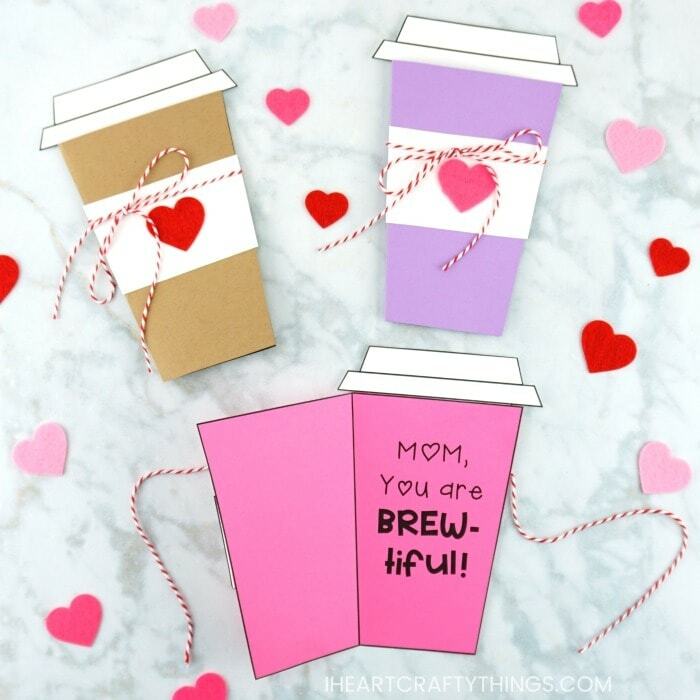 One reads “Mom, You are BREW-tiful!” on the inside and one reads “I love you a “latte” Mom!”. We also have a blank version of the template if you prefer to write your own personal message. 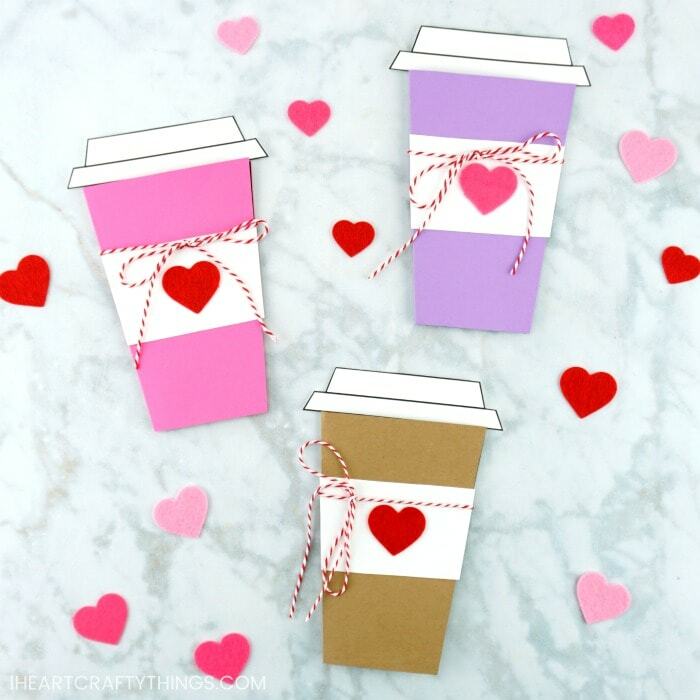 Print the coffee cup page of your choice on colored cardstock. Then print the coffee lid template and cup sleeve on white cardstock. Note: If you prefer not to purchase our template, use the photos below as a guide to draw the pieces you will need for your coffee card. Step 2: Cut out each of the pieces of the templates. 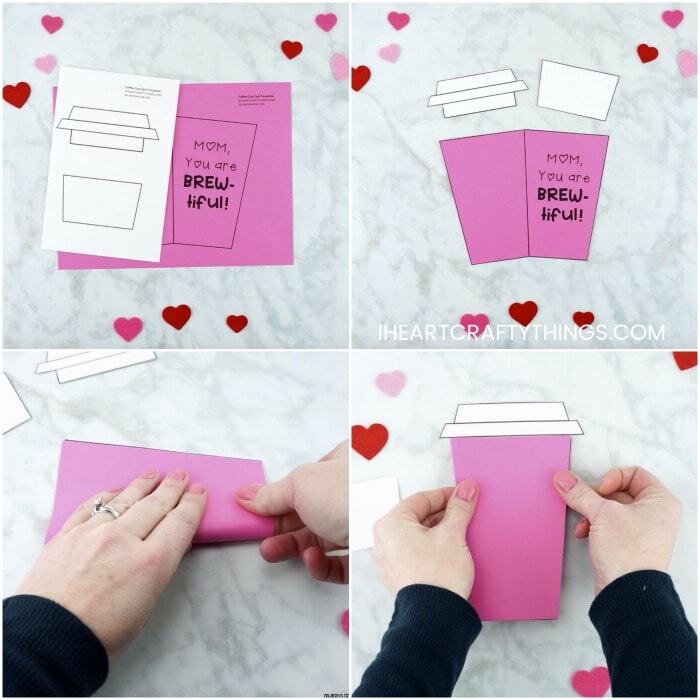 Step 3: Fold the coffee cup in half along the line in the middle to create a folded card with the saying on the inside of the card. Step 4: Add glue at the bottom of the coffee cup lid and glue it onto the back of the coffee card. 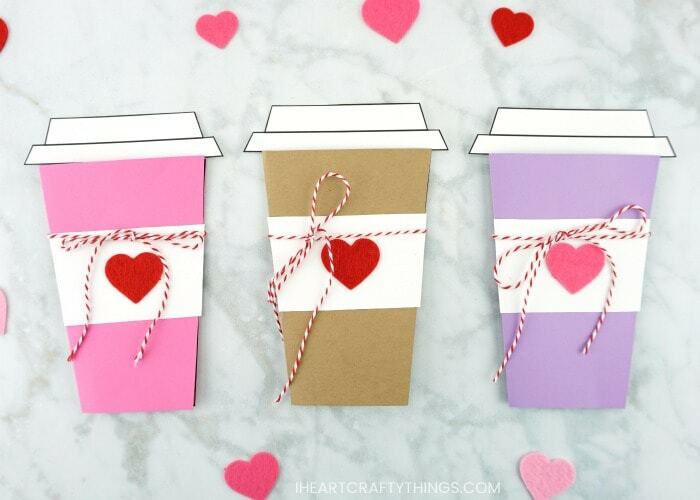 Then glue the coffee sleeve on the front of the card in the center. 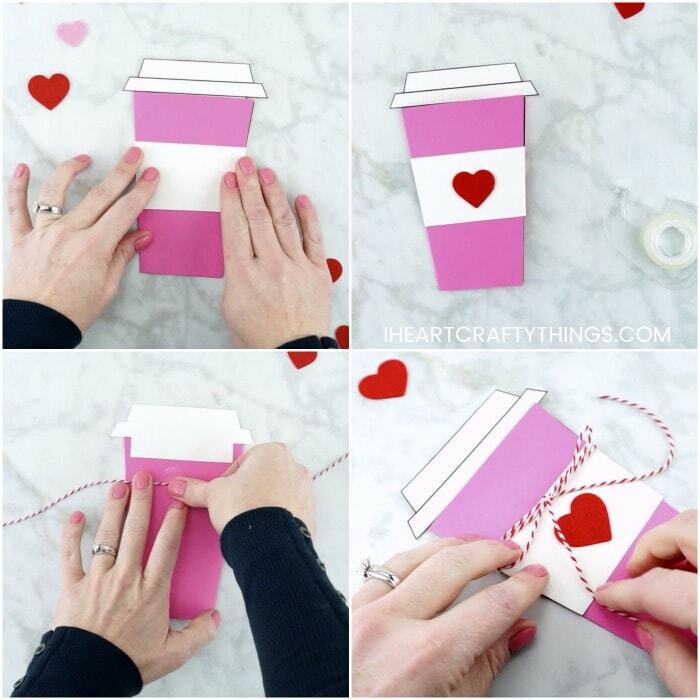 Step 5: Peel off the backing from a felt heart sticker and place it in the center of the coffee sleeve. Step 6: Cut off a section of red baker’s twine about 18 inches long. Tape the center of the twine on the back of the coffee card. Turn your card over and tie a bow in the baker’s twine to seal your Mother’s Day card shut. 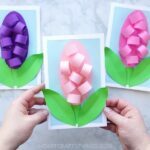 When Mom is ready to open up her card, she simply unties the baker’s twine bow and reveals the sweet message on the inside of the card template. Watch the video below for a step by step guide on how to make this simple Mother’s Day card with our coffee card template. 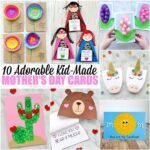 Find more Mother’s Day cards and easy kids arts and crafts ideas by browsing the categories at the top menu bar of our website. Check out 10 more adorable Mother’s Day card ideas for Mom or Grandma. 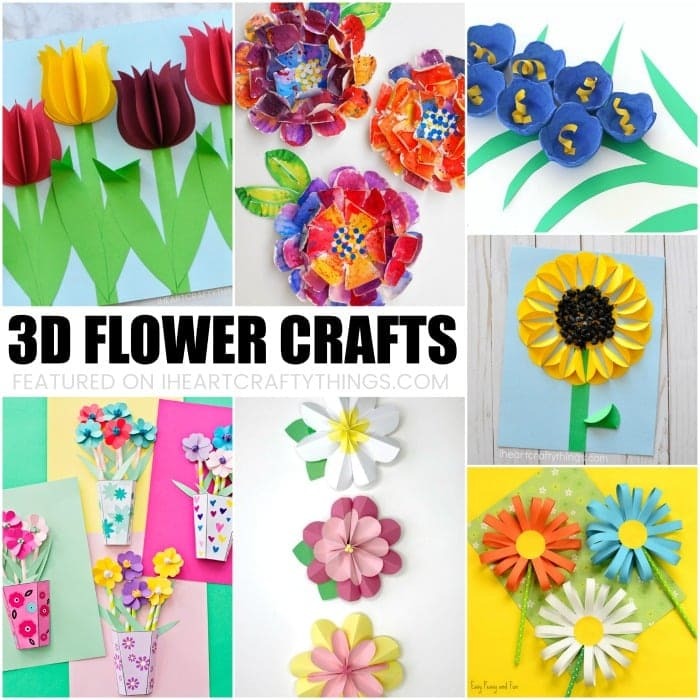 Try making some beautiful 3D Flowers as a gift to go with your coffee card!